Social media is a great addition to any business. But can you really leverage it into increased sales? Yes. Social media can help prospective customers discover your products, refer new customers to your site and even drive them to buy. 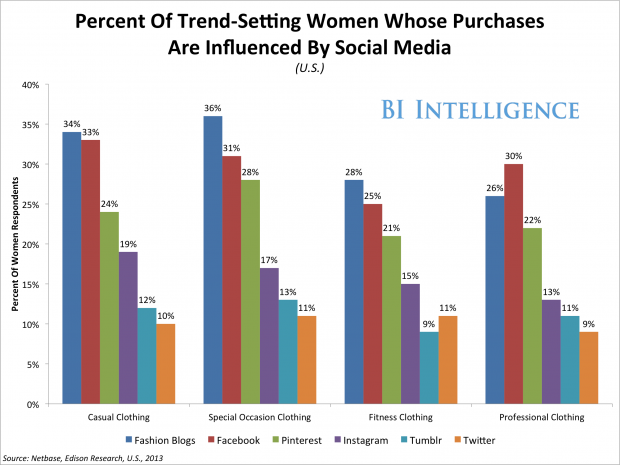 For example, a recent study found that Facebook and Pinterest influence about 20%-33% of women when they’re buying apparel. Here are 10 ways to take advantage of social media’s selling power. 1. Go where your customers are. With tons of social networks out there, you need to focus on those that will give you the best results. Survey your current customers to find out what social media sites they use and look into data, like that collected by Pew, to see where your target customers are likely to spend their time. For example, young men might be more likely to hang out on Instagram, while older women may be spending time on Pinterest. 2. Use images to your advantage. Images attract prospects, whether you’re on Twitter, Facebook, Instagram or Pinterest. In fact, studies show Facebook posts with images get 67% more click-throughs than those without. Take good-quality, eye-catching pictures of your products and use them in your posts. 3. Pinterest is hot. Pinterest has become a great traffic driver because it allows you to add links directing consumers to where they can buy the products. If you’ve got a brick-and-mortar store but not an ecommerce presence, link to directions to your store. 4. Use hashtags to make Instagram work. You can’t link directly from Instagram, but you can use a unique hashtag for your business so users can find your posts. 5. Get customers involved. Customer-generated content is a great marketing and sales tool. Encourage customers to share photos of their purchases, pictures of themselves wearing what they’ve bought, and product reviews. You can comment on the pictures or thank them for posting, then include a link to where others can buy the products. 6. Make an offer they can’t refuse. Social media followers love getting rewards and discounts—it’s one of the main reasons they follow brands on social media. Post unique offers for followers in each of your channels. Twitter, for instance, is great for short-term offers such as a flash sale for a limited time (like a few hours!) on your website or in-store. Facebook is better for longer-term discounts. 7. Hold events. Discounts or coupons aren’t the only sales incentive you can offer customers. If you have a brick-and-mortar store, you could hold a special event such as a late-night sale just for social media followers during the hours your store is normally closed. Make it invitation-only and offer refreshments and entertainment. For an ecommerce site, give social media customers early entrée to a sale that’s not open to the general public for a week or so. 8. Get more fans. Encourage customers to like or follow you on social media by posting social icons on your website and in your physical store. Offer them something in return for signing up, such as a percentage-off code or coupon. You can also encourage them to share, retweet or repin your post and offer rewards for that, too. 9. Consider Facebook advertising. You can narrowly target customers with Facebook ads, which improve the chances that prospective customers will see your content compared to “organic” posting. Facebook advertising is affordable and you can see results right away, so if you’ve got a big audience on Facebook, it’s worth looking into. 10. Track results. Use each social media channel’s free analytics tools and your website analytics to track where referrals to your site are coming from. You’ll be able to see what shoppers come to your site through social networks and how many of them buy, giving you instant insights into social media’s sales effectiveness. Use social media tools, like Hootsuite or Sprout Social to monitor your results.